Whether this is the first time you have ever been charged with a crime or you have gone through the process previously, this is going to be an unpleasant experience. It is normal to feel scared, upset, frustrated, angry, and even embarrassed when being accused of a crime – whether the allegations are true or false. We are here to help you get through this difficult time and allow you to move on with your life. The time to speak to an attorney is now not later. Later is when good options for you are no longer around. It is much more difficult to undo a bad result than try to prevent it from happening in the first place. The sooner you speak to an attorney, the sooner you will understand what is going on and know what you can do going forward. Some people have a difficult time coping and hope it will go away. Some people think their case is no big deal and they can handle it on their own. Other people think their case is one big misunderstanding and the judge will simply dismiss the case once you explain it to him. Let us be the first to caution you against these ideas. Your case is not going to go away on its own. Things will only get worse if you choose to ignore it. You also do not want to try to handle the problem on your own. Things are always more complicated than they may appear and it is important to have an experienced attorney guide you and speak on your behalf. There are always two sides to a story. It is vital that you have someone to make sure the prosecutor and the Judge get to hear your side. However, that side should not be coming directly from you because it could result in further troubles. An attorney will help protect you and make sure the story will benefit you and not harm you. Some people think they are absolutely guilty so they do not see the reason why they should even get an attorney. An attorney can also help explain the circumstances of your criminal act and look for problems with the government’s case against you. Either of those could potentially result in a more favorable resolution but at a minimum, an attorney will help make sure you understand what is going on and be better prepared for what may be approaching. There are a variety of different courts in the greater Olympia area which we service. 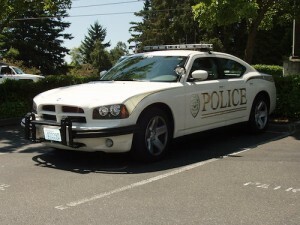 Whether your case is in the Yelm Municipal Court, Tumwater, Lacy, or in the Thurston District court, we can help you. Each court behaves differently so it is important to speak with an attorney who has experience with those cities. The Law Offices of Jason Newcombe have attorneys ready to speak to you about your situation. You can have a free consultation with one of our attorneys who can start answering your questions and point you in the right direction. Do not wait until it is already too late, start speaking with an attorney now.